Alopecia Free Simulating Shampoo (8oz) contains 100% natural ingredients. Contains natural healing properties and essential oils that may aid in the healing process of scalp and hair loss conditions such as alopecia. 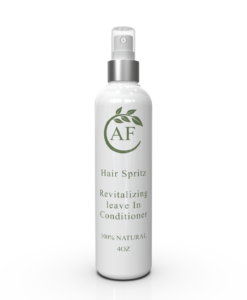 My Stimulating Shampoo helps to stimulate your scalp while bringing oxygen and nutrients to aid in the regrowth of hair. This has been and continues to be an essential part of my hair regimen. 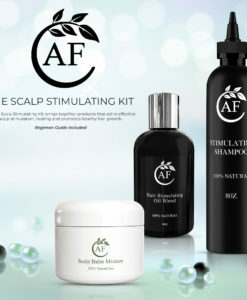 If you are looking to stimulate your hair further with products and a step by step hair regimen, please take a look at my Scalp Stimulating Kit. 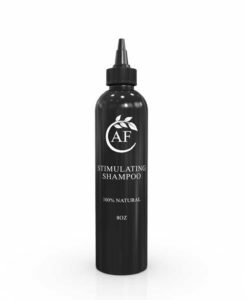 A natural shampoo that can help you in your fight against alopecia and other hair loss related conditions. For order to the United States please allow 1 to 2 days for processing and 6 to 8 business days for delivery. Thank you for your patience. 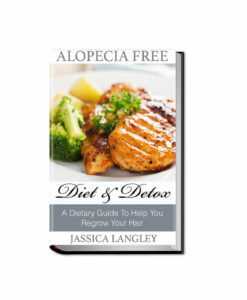 I am so thankful to God I came across Alopecia Free! A few months ago I was praying asking God to restore my hair color ( I was born with naturally red hair) and hair from damage I encountered from wearing weaves. I was watching You Tube and I came across Jass and began to watch her You Tube videos. Those videos gave me hope and I believed through her testimony that my hair could and would be restored. Her testimony encouraged me so much that I decided to purchase the Stimulating Shampoo. I had just did the Big Chop and was also suffering from an extremely itchy scalp. Upon using the shampoo, I started seeing results immediately, after one wash my itchy scalp was completely gone and it left my hair very soft. I have been using the shampoo for almost six months now. Oh and did I mention my hair color has been restored! My hair is growing back very thick and I just ordered the Oil Blend, Scalp Balm, and of course more Shampoo. I hope and pray that this will encourage others suffering and struggling with hair loss. Don’t give up! 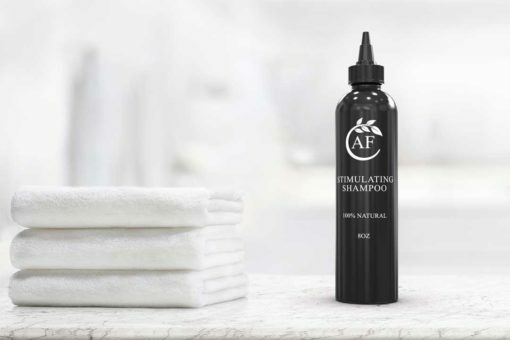 Your hair can be restored! Thank you so much Jass! 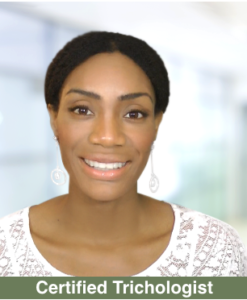 I have alopecia and have suffered from itchy scalp in the top of my head. 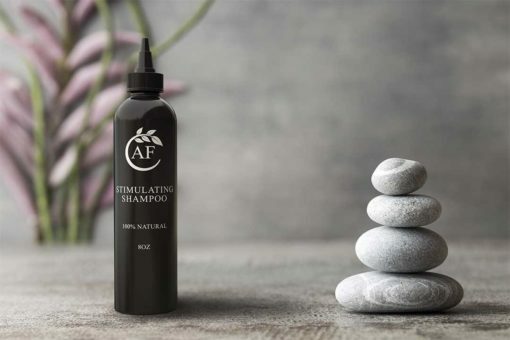 This shampoo not only cleanses your scalp thoroughly, it tingles, leaving your scalp feeling sooo good. 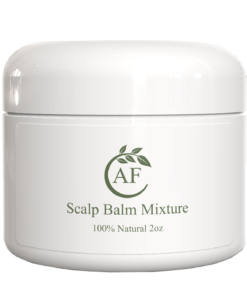 It promotes healthy scalp which promotes hair growth. I will continue to use this product. 5 out of 5	The Best shampoo and its all natural!!! Before I started using this shampoo my hair and scalp was in the worst condition. 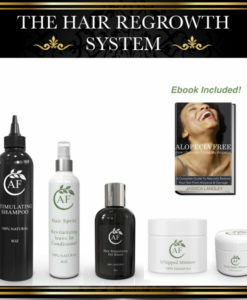 My hair and scalp was dull, dry, itchy, and inflamed. I also had large bald spots that would not grow. I was stressed because nothing was working. All the products I was using seemed to make it worse. One day I decided to go back to the basic and while on YouTube I came across Jess’s page and decided to try her shampoo. It was the best decision I ever made. After the first use my scalp felt so much better. After about two weeks my hair and scalp was healthier. All my dandruff was gone, my scalp wasn’t so itchy, and my bald spots were going back! The best part is that the shampoo didn’t dry my hair out and after washing my hair it was no longer dull. My hair texture is a mix of really thick 4b/4c. Please give this product a try, you won’t be disappointed. I have had this shampoo for around 6 months and after just 3 months all my patches had grown! I have had Alopecia since I was around 8 years old and for the past 10 years haven’t had a full head of hair. For around 3 years I had injections into my scalp to help my hair grow, which it did, however it would just fall out in another place. The injections also made me feel very nauseous so In the end I stopped them. I was searching online for other ways to help, when I came across these products. I read reviews and thought I’d give it a go. I am so glad I did! After just 3 months my hair had grown back. (I had around 5 small to medium sized patches)…this shampoo really does work! It has worked like a miracle for me! This is by far the best Shampoo I’ve used in my life and don’t think I can go back to using those store brand shampoos. 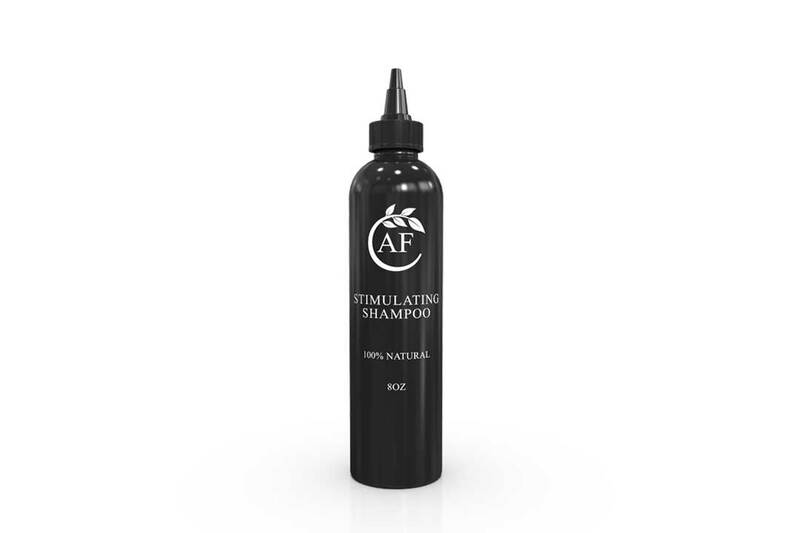 I only use natural products in my hair now and this shampoo is all natural and has worked wonders on my hair. The quality of my hair has changed significantly when using this shampoo. My hair is always soft and shiny and has an amazing texture to it all the time. 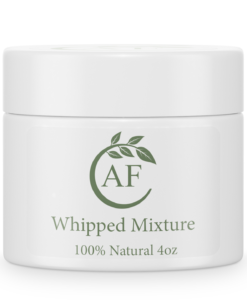 Overall, a fantastic product for people who only use natural products on their hair. 5 out of 5	Amazing Product! I was diagnosed with alopecia for a few months ago but it started around 3 years ago. It wasn’t until I went to a doctor to get blood work done and have it confirmed. On a mission to find a cure, I was always trying different products but none seem to work and I was growing impatient. I’m 23 and the last thing I wanted was to be loosing my hair in spots in the front. I was on YouTube one day and came across Jassica’s channel and I watched her videos on her alopecia and her discovery with the BLACK SHAMPOO AND THE SHEA BUTTER. I decided to order the Shea butter and just make my own Black Shampoo and let me just say it was a miracle in a jar and bottle! When I tell you my hair is filling in where the spots were! I couldn’t believe it. I started seeing growth in the first month, but for others it may be different. So I just say be patient and allow your body to adjust to it because it really does work and I have the pictures to prove it! The first picture is before anything, the middle is the first month and the last is the second month and as you can see it’s slowly filling in! Thanks again Jass for all that you do!